Bradley Air Conditioning is one of the oldest and most reliable A/C companies in Dallas / Fort Worth. Having opened in 1983, Brad Schroeder and his team of expert technicians have been servicing the metroplex for more than 30 years. Bradley Air Conditioning isn't the huge A/C company that you see dominating the advertising on the morning news. Brad says, "We could easily add many more techs, and grow into that huge company. We have the customer base to support it. But we would lose the personal connection with our customers and the quality of work you produce can suffer. So, I've chosen to maintain a small team of exceptional technicians who focus on quality and customer service. I truly believe that's why we have so much referral business." One of the things that sets Brad and his company apart from other A/C companies is that he gives you tips and advice on how to keep your unit running in tip top shape, so you can avoid that mid summer crash in the first place. Check out his website for his suggestions on what you can do to maintain your A/C unit. Look under "Tips and Tricks." And lastly, Bradley Air Conditioning offers Free Estimates on all new system installations. 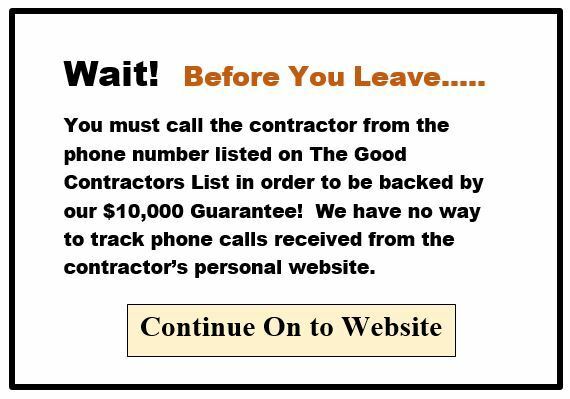 They have the experience, dedication to superior customer service, and are backed by The Good Contractors List $10,000 guarantee. You can trust Bradley Air Conditioning for your next air conditioning project.